A British tank passes destroyed Italian planes. 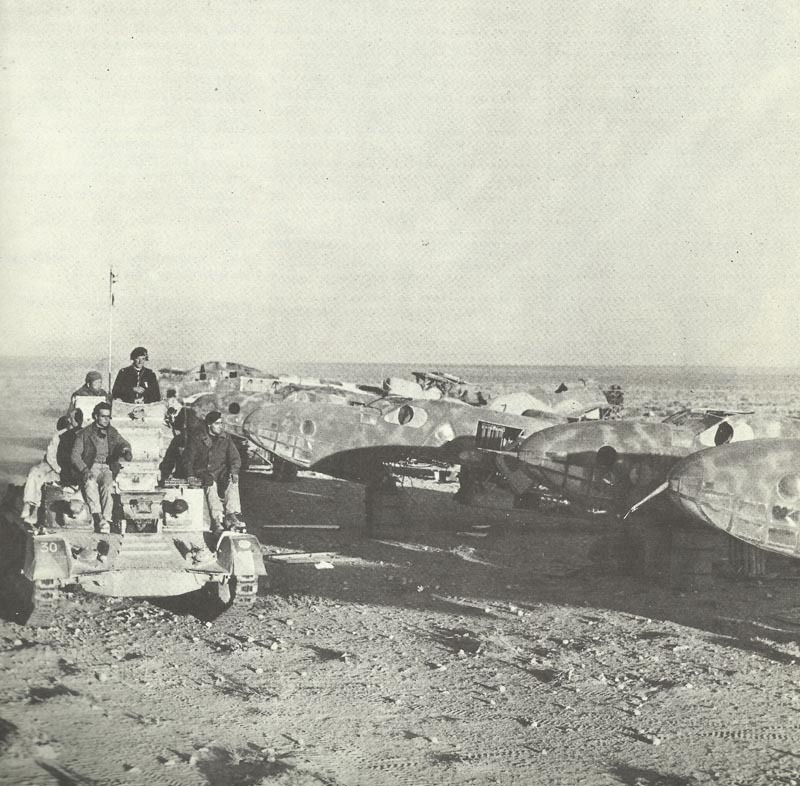 Wavell‘s forces reach El Agheila, 160 miles southwest of Benghazi. Mediterranean – Bombardment of Genoa: Battleships HMS Renown, Malaya and heavy cruiser Sheffield fire 300 t. of shells, inflicting heavy damage on merchant shipping and the city, with many casualties. Italian Fleet and shore batteries taken by surprise and further confused by thick mist and mis-identification of Vichy French convoy. Atlantic: Focke-Wulf Condors sink 5 ships in large convoy off Azores. Britain: Churchill tells Americans in a broadcast speech: ‘Give us the tools and we will finish the job’. Vichy France: Vichy Foreign Minister Flandin resigns; ADMIRAL DARLAN APPOINTED VICE-PREMIER.